Homepage - 89 Homes & Building Improvements, Inc. Whether you’re first-time homebuyers or seasoned homeowners ready for your next chapter, you deserve a home that meets your needs and reflects your unique style. At 89 Homes, we know that building custom homes requires trust and close attention to detail throughout the creative process—that’s why our process is always collaborative and informative. Founded in 1979, we are a family-owned business dedicated to building homes for your family. When you choose us to build your custom home, you get a whole team of experts that are passionate about making your dream home come to life. Customize one of our plans or start with your own. Either way we will build your house the way you want it. Our complimentary consultation process will help you determine the custom home that fits your needs, budget, and personality. Get started on your dream home today—89 Homes is committed to making the process of owning a custom home a truly satisfying experience for each homeowner. 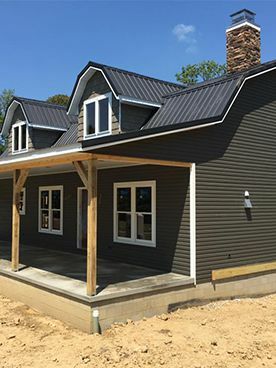 Based in Jeromesville, we have built over 1,000 custom homes throughout Ashland, Wayne, Stark, Lorain, Medina and surrounding counties. Understanding your property helps us understand how to include septic, well, grade level and other considerations to your home. © 2019 89 Homes & Building Improvements, Inc.